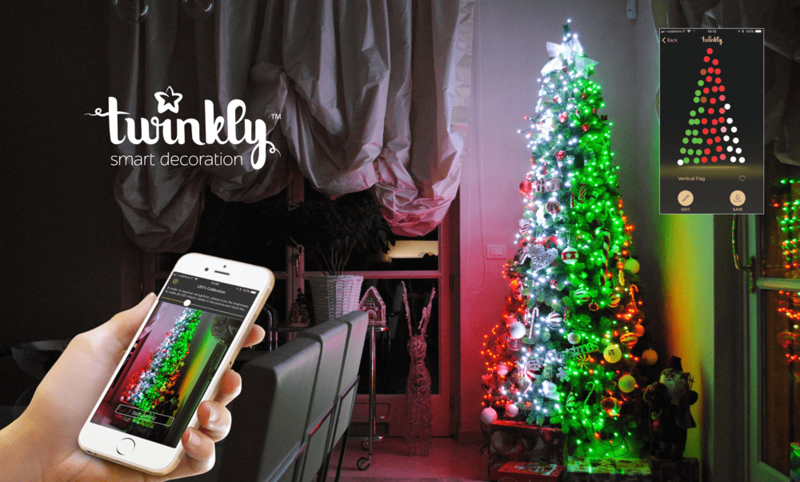 Twinkly's app controlled Christmas lights are set to revolutionise the Christmas lights market. Using an app on your smartphone (iOS and Android apps are available) you can control your Christmas lights, setting not just the colour but also the pattern and effects that your lights will output. No longer do you need to purchase a new set of lights if you want a different colour, and better still you can create your own bespoke display, choosing what you want each individual LED to do. As featured on Mashable, Unilad and the Lad Bible, to name just a few, Twinkly lights are a new innovation in the Christmas lighting industry, offering almost unparalleled customisation. You can use your smartphone to draw your own animations, or use one of the many presets to illuminate your Christmas tree as never before. As they say 'bring more magic to your Christmas'! The below video demonstrates some of the available effects with Twinkly smart lights. Here you can see an unboxing video showing the Twinkly packaging and what you can expect to find within the box.